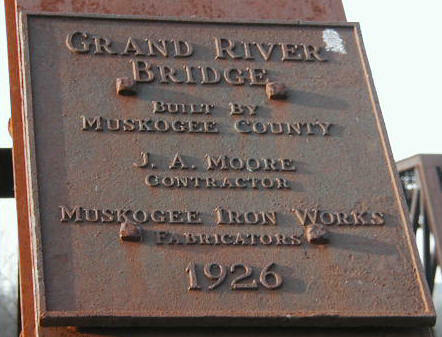 Built in 1926 by the Muskogee Iron Works, This bridge consists of four 189-foot modified Parker through trusses. 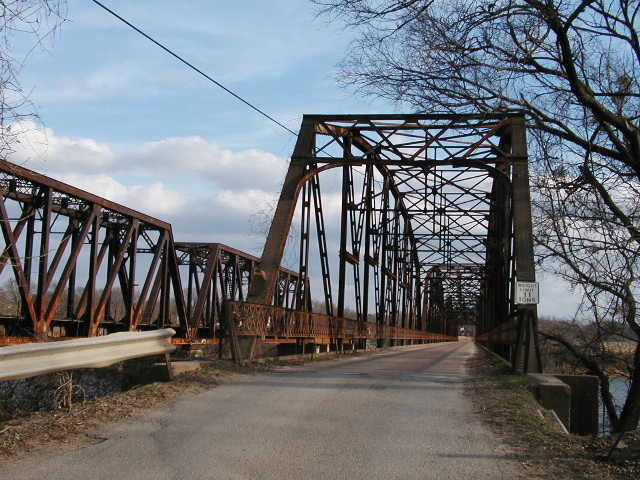 Note the portal and curved knee braces in the corners, all features typical of the standardized bridges of this time period. 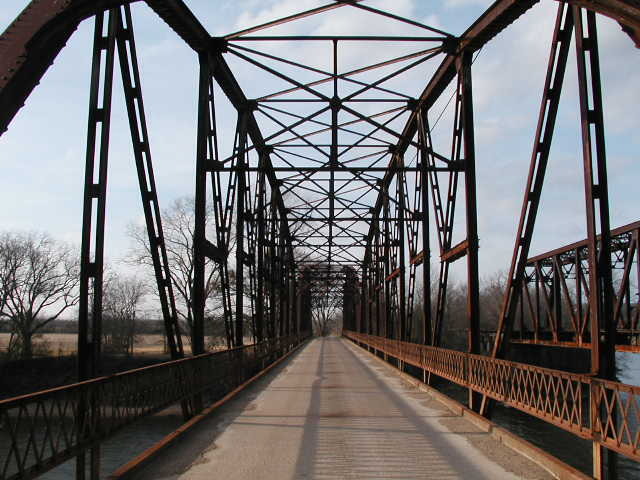 Above, view of bridge looking east. 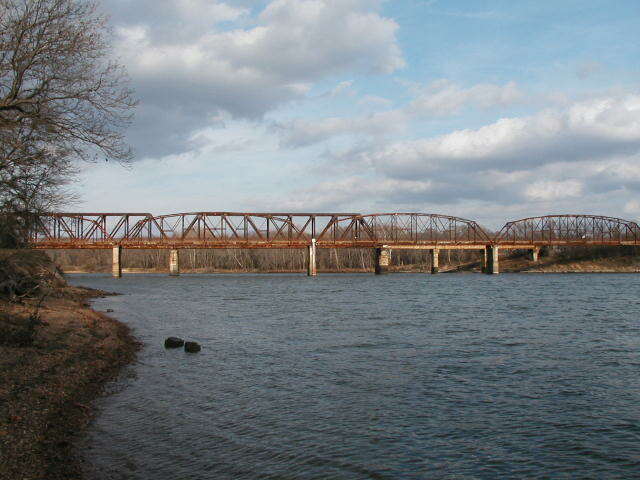 A railroad truss bridge is visible on the left. Below, a view through the bridge. Each span is 9-panels long. 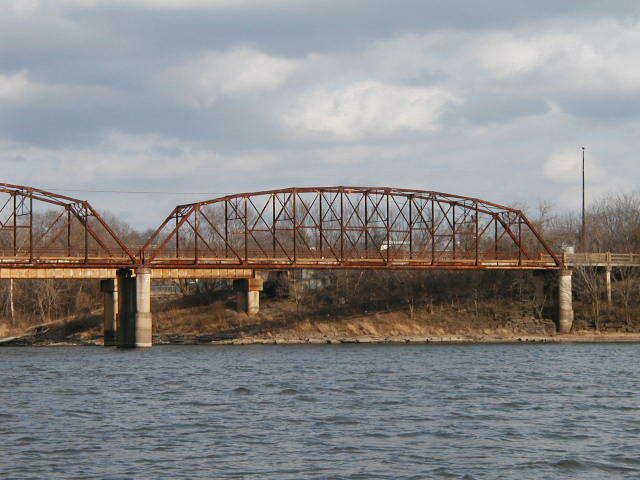 Below, a view of the bridge from down river. The bridge is spidery compared to the massive railroad bridge in the background. Above, a close view of the east span. 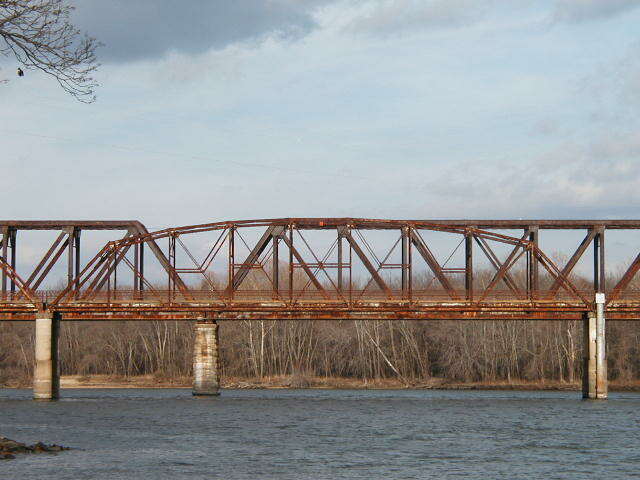 Below, a close view of a span with the railroad bridge behind for a comparison of the sizes of the bridges. Above, another photo comparing the two structures. 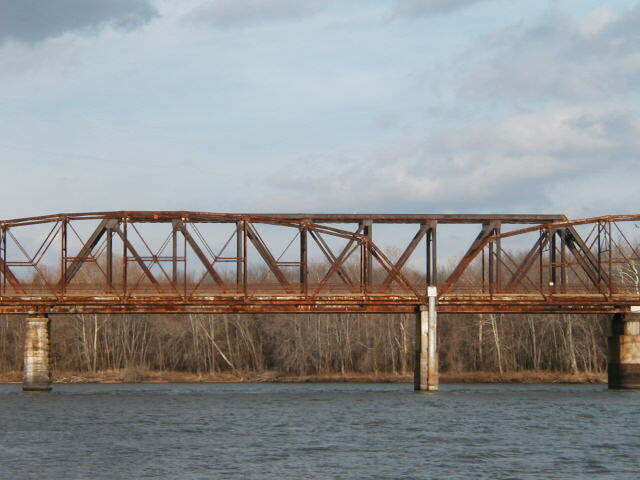 Overall, this bridge is in good shape and is an excellent example of its type.